Winter is one of the best times to check out Minneapolis Northwest! The area comes alive with activities to suit your every whim, whether you want to relax indoors at a spa or theatre, or you want to try adventuresome outdoor activities such as fat biking or tubing. The communities on the northwest outskirts of Minneapolis combine the best of Minnesota — close enough to the big city to offer easy urban access, but also situated right on the doorstep of the great outdoors. Here’s why winter is the best time of year to take advantage. In the land of 10,000 theatres, Minneapolis Northwest boasts one of the best. Yellow Tree Theatre in Osseo is currently celebrating its 10th anniversary during the 2017-2018 season with four stellar shows (and other events) guaranteed to delight audiences. Whether you’ve been to Yellow Tree before, have always wanted to check it out, or have never heard of it, now is the time to go! There’s never a bad time to schedule a night out, but gathering your girlfriends for a weekend escape ranks right up there with good wine, years-long friendships and great shopping finds. 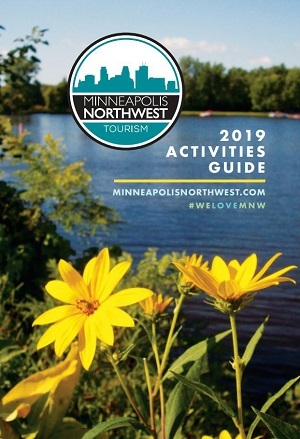 When you and your girlfriends are ready to get away, look no further than Minneapolis Northwest for everything from world-class spa services, the quaintest wineries and craft brew houses to more active pursuits like FootGolf and hiking. Check out our favorite ways to celebrate the friendships in your life, then gather your girlfriends and head to Minneapolis Northwest (MNW). The Minneapolis Marriott Northwest is one of the most well-recognized hotels in the Twin Cities and outer suburbs. With a top-quality restaurant and more than 62,000-square feet of event space, it takes a master Executive Chef and a superb kitchen and wait staff to meet the needs of all diners and guests. Find out more about the cool Executive Chef leading the charge and making your delicious meals at the Marriott – Pat Lundgren. Show us how you embrace the winter in Minneapolis Northwest! Post your photos to Facebook, Twitter, or Instagram and use the hashtag #WeLoveMNW and you may be featured on our website!